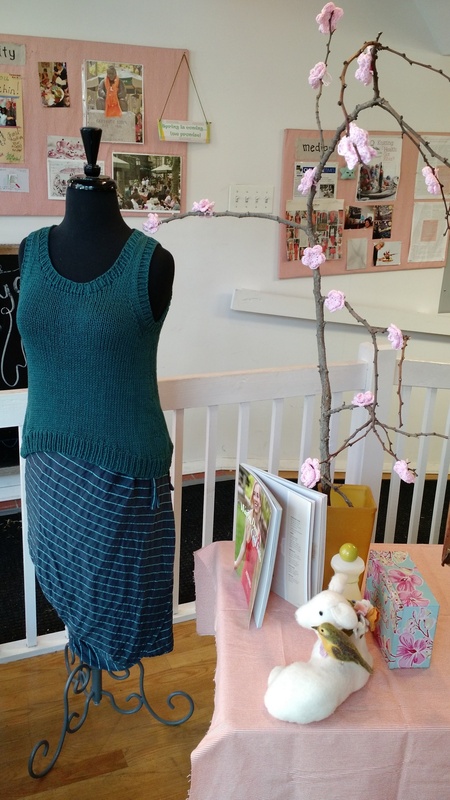 Knitty City — Wearing of the Green This March! Wearing of the Green This March! A little sparkle goes a long way right now, and we're happy to say that a new yarn is in from Koigu. Koigu Sparkle is spun from the finest merino sheep and hand painted in one-of-a-kind colorways that have made Koigu a legend in the yarn world. Koigu Sparkle comes in their usual distinctive range of color, and is ideal for light weight cardigans, shawls, accessories. Just in stock is Tahki Stacy Charles Cotton Classic. "Classic" is the exact word to describe this mercerized cotton yarn. It's dk weight makes it a season-less choice for many projects. Cotton Classic is the perfect yarn for tops, children's clothes or baby gifts - just about anything that calls for beautiful color that lasts! New Colorwork Class with Mary, March 24, 2-4PM - Take the next step in developing your knit expertise with seasoned teacher, Mary Hayne, and create the lovely 2 color hand warmers seen on a recent issue of Piecework Magazine. This class is for more advanced students; Skills required: knitting on double point needles, cast on, cast off and knit and purl. Sensational Slip Stitch Class with Maxine, March 28, 12:00-2:30 - Learn to add color, texture and design to your knitting with slip stitch and mosaic stitch patterns. You'll be amazed at how easy it is to learn. New knitters welcome, but they need to know how to knit, purl and bind off. Requirements for the class: Must know how to do a chain stitch in crochet (ie: you MUST be comfortable holding the hook and yarn) Class Cost: $65 - includes kit ($40 value) with everything you need to complete your necklace and learn the technique. You will have some materials left over that you will be able to use for future projects. Madeline Tosh is helping us celebrate our 10th Anniversary next January by making 10 new colors just for us. We want your help! Send us a picture of color/colors you fancy, along with an appropriate name for each. We’re hoping for names with a reference to our favorite city. Belvedere Castle Grey anyone? Chelsea green? Get the idea? If your suggestion is chosen, we’ll award a $50 KC Gift Certificate to you, along with a skein of “your” color, as soon as it’s ready next January. 1. Each entry should contain a picture of a color/or colors plus a suggested name. 4. Any/all winning entries will become the property of Madeline Tosh and all rights to produce, market and sell that color yarn will be held by Madeline Tosh, Inc.
Well that's it for the moment. Be sure to check us out on Facebook, Ravelry and, if you haven't already done so, please subscribe to our newsletter. Whatever else you do, please make sure to stop by and say hello. Spring is coming and we want to share it with you! We're open 7 days a week, after all.